More than a quarter of UK adults without access to the internet have confessed that it was the cost of either owning a computer or the connection that is stopping them going online. 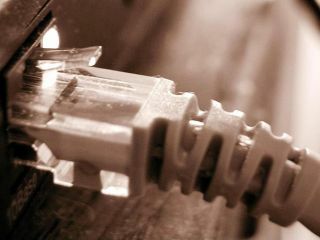 In an extensive MORI poll conducted by telecommunications watchdog Ofcom into the takeup of internet, one in five adults who did not have a connection were expecting to be online within six months. However, 43 per cent of people insisted that even given a free computer and connection they would not want the internet (because that gift horse's mouth isn't pretty) and 30 per cent were concerned about cost and their ability to make use of a connection. Of those 30 per cent, more than half stated that cost of the connection was stopping them getting online, with another 27 per cent stating that it was the cost of a computer that was holding them back. Another interesting group were those who did not want the internet, with Ofcom explaining they tended to be older, with seven in ten (68%) over 65 years old and retired (71%). The vast majority did not use the internet (95%) and seven in ten (70%) had never used a computer. "…they tended to share a sense of indifference. Many struggled to come up with any reasons why they should have the internet at home. "The qualitative research found that there was a range of reasons underlying this lack of interest. Some resisted it, saying it was not for people their age; some said they preferred face-to-face, telephone and written communications and felt the internet did not fit in with their lifestyle; and some were simply not interested in the internet because they did not find its functions appealing."